It became a spectacular incident in Shree Samsthanam when a woman became a vestal because of the divine’s purpose. Sharika (maiden name) was attracted towards the path of spirituality due to the influence of her family’s heritage. Being a Law Graduate, she was well-known for her musical talent in state level. It was purely the divine’s purpose that she chose to become an integral part of a devotional sect due to the influence exuded by the spiritual activities of Shree Gurudevadatta Samsthanam. 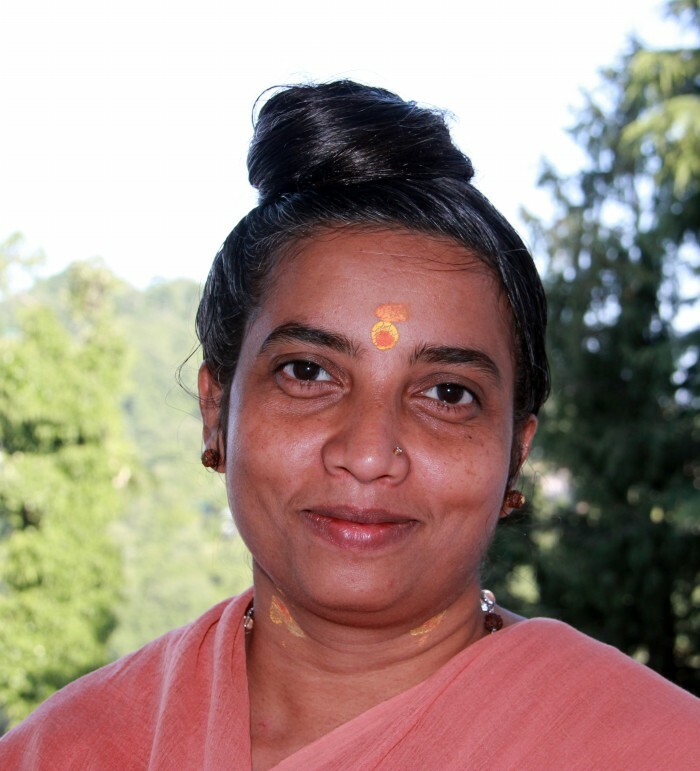 This love for spirituality inspired her to lead a life of spiritual success. It is the Holy Seer’s firm stance that there should be no gender bias regarding the path of devotion. If it is permissible for a man to become one with God through asceticism of life as well as self-discovery, then a woman should not be deprived of such bliss who, through self-inspiration and firm yearning, can achieve that. Accordingly, on 18-11-1997, at the Datta Sannidhi of Ganagapura, the Holy Seer ordained spiritual life to Sharika and named her as Shree Mathanandamayi. Sadhvi Mathanandamayi has become an avadhut vestal of the devotional sect.